Today, a multidisciplinary team of researchers at the University of Washington, Fred Hutch, and The Scripps Research Institute published in Nature Biotechnology the computational design of a trimeric influenza-neutralizing protein that binds extremely tightly to the H3 hemagglutinin of 1968 Hong Kong pandemic influenza virus (A/Hong Kong/X31/1968). It also cross-reacts with human relevant H1, H2 and H3 influenza strains. Figure 1. 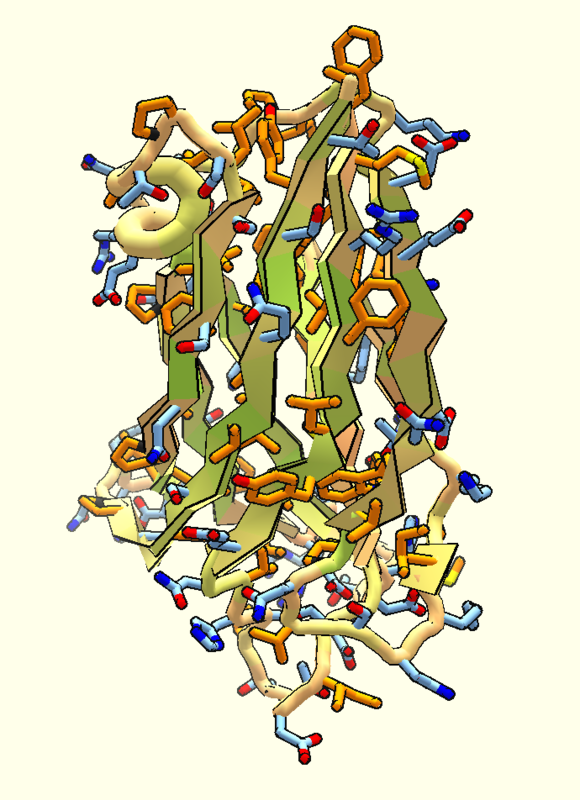 Design Process for Flu-Glue, a Potent Computationally Deigned Anti-Flu Protein. The research has been recognized by opinion leaders and media outlets as a major step in the fight against the flu. See articles in Science , the Conversation, and Scientific American, C&EN News. 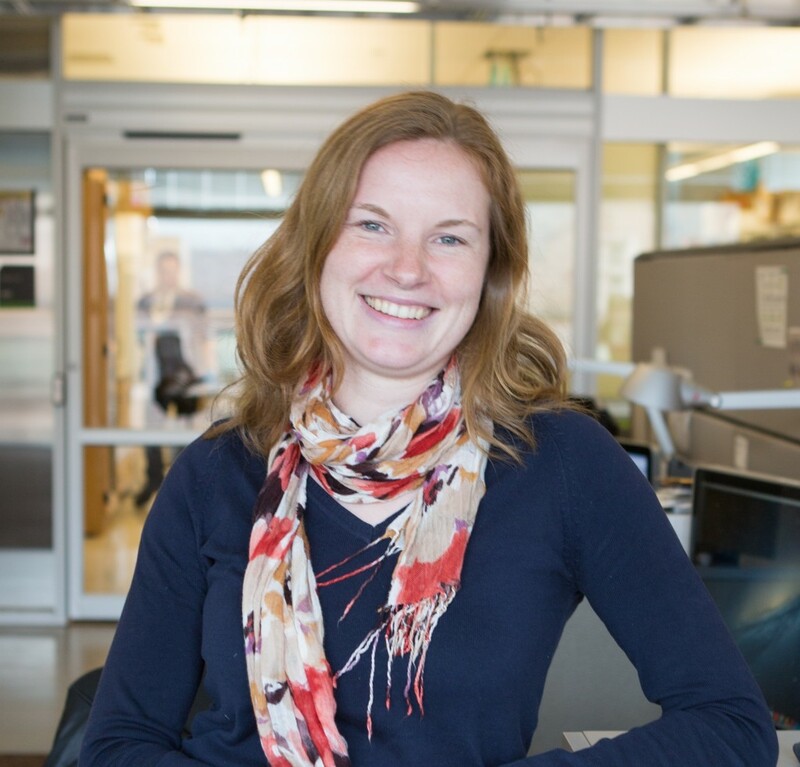 Crafted in the Baker lab at the Institute for Protein Design, the protein affectionately known “Flu-Glue” was shown by the Fuller lab at UW to completely protect mice when given as a single intranasal dose 24 h before or after lethal challenge with H3N2 influenza. The Bloom lab at the Fred Hutch has also shown that Flu-Glu has broad specificity to block both H3 and H1 viruses in vitro. Also, Flu-Glue can both capture and detect hemagglutinin in a low cost paper-based diagnostic assay developed in collaboration with the Yager lab at the UW. 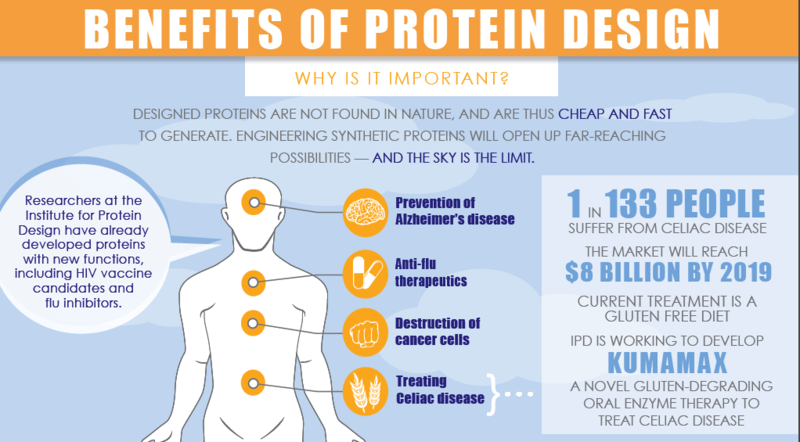 As illustrated in Figure 1, researchers designed this potent protein in a two-stage process. They first used Rosetta computational design algorithms to generate a soluble protein that binds with reasonable affinity to the sialic acid binding pocket of the virus’ hemagglutinin protein (HA). This is the site of receptor binding for virus which enables it to grab onto the surface cells and infect them. In a second step, researchers then went on to design a homo-oligomeric trimeric version of the protein that self-assembles to optimally position three the binding proteins to match with near atomic level accuracy the three sialic acid binding pockets in of the self-assembled HA trimer—this is the natural form of HA on the surface of the virus. By perfectly pre-arranging three low affinity HA binders to match three identical pockets on the surface of HA, the team achieved very tight binding to flu HA. The Wilson lab and Ward lab at TSRI confirmed these structures by X-ray crystallography and cryo electron microscopy. Many viruses such as Ebola, influenza, respiratory syncytial virus, and others use a trimeric architecture for their cell surface receptor binding proteins. This work proves that protein design can achieve very tight binding to such viral proteins with prophylactic, therapeutic, and diagnostic application. While it is known that antibodies can bind and neutralize viral receptor proteins, their dimeric architectures are not suited to achieve the exquisite affinity and virus blocking ability of of the computationally designed trimeric Flu-Glue. The Baker lab, in collaboration with Neil King, Trisha Davis and Tamir Gonen’s labs, recently had a paper published in Nature about a stable icosahedral nanocage whose applications could span anywhere from drug delivery to vaccine design! The title is “Design of a hyperstable 60-subunit protein icosahedron” and it was published online June 15, 2016. Yang Hsia, a graduate student in David’s lab, gave an interview to Nature that was put in to a podcast that you can listen to here (called “Protein Football”). See below for the abstract, or read the whole paper at Nature‘s website here or the Baker lab website here. There is also a great write up of the paper done by Chemical & Engineering News, which you can find here. The icosahedron is the largest of the Platonic solids, and icosahedral protein structures are widely used in biological systems for packaging and transport1, 2. There has been considerable interest in repurposing such structures3, 4, 5 for applications ranging from targeted delivery to multivalent immunogen presentation. 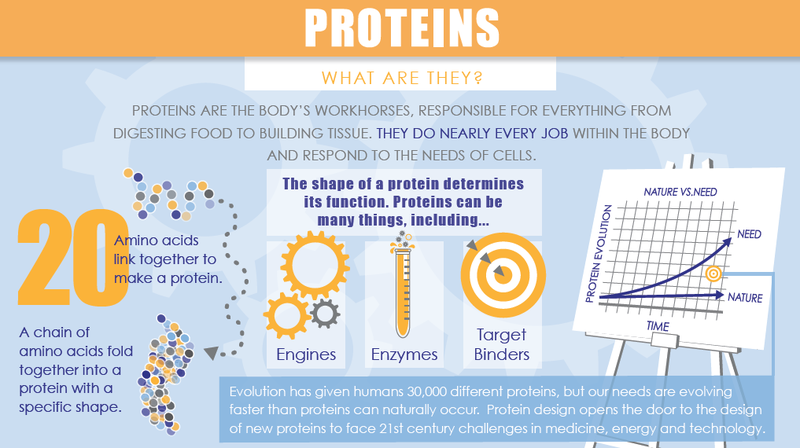 The ability to design proteins that self-assemble into precisely specified, highly ordered icosahedral structures would open the door to a new generation of protein containers with properties custom-tailored to specific applications. Here we describe the computational design of a 25-nanometre icosahedral nanocage that self-assembles from trimeric protein building blocks. 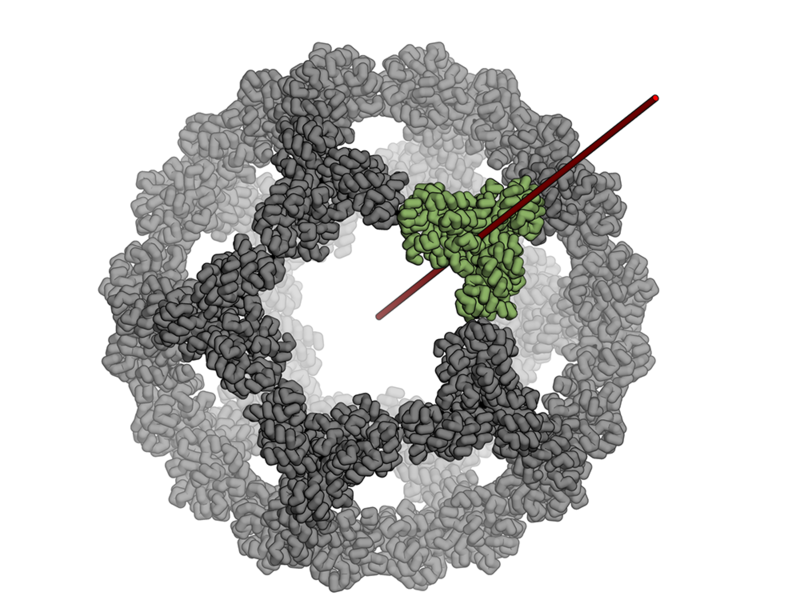 The designed protein was produced in Escherichia coli, and found by electron microscopy to assemble into a homogenous population of icosahedral particles nearly identical to the design model. The particles are stable in 6.7 molar guanidine hydrochloride at up to 80 degrees Celsius, and undergo extremely abrupt, but reversible, disassembly between 2 molar and 2.25 molar guanidinium thiocyanate. The icosahedron is robust to genetic fusions: one or two copies of green fluorescent protein (GFP) can be fused to each of the 60 subunits to create highly fluorescent ‘standard candles’ for use in light microscopy, and a designed protein pentamer can be placed in the centre of each of the 20 pentameric faces to modulate the size of the entrance/exit channels of the cage. Such robust and customizable nanocages should have considerable utility in targeted drug delivery6, vaccine design7 and synthetic biology8. On February 9th, Arzeda, and Mitsubishi Rayon Ltd announced that they would “collaborate on development of new processes for industrial chemicals production.” Read more about it on Mitsubishi Rayon’s website, here, or on Arzeda’s site, here. Arzeda is an IPD spin-out, of which David Baker is a co-founder and Scientific Advisory Board Member. Watch a video documenting a recent hike at The Brothers in the Olympics. IPD scientists, mountain goats, and stellar views – oh my! 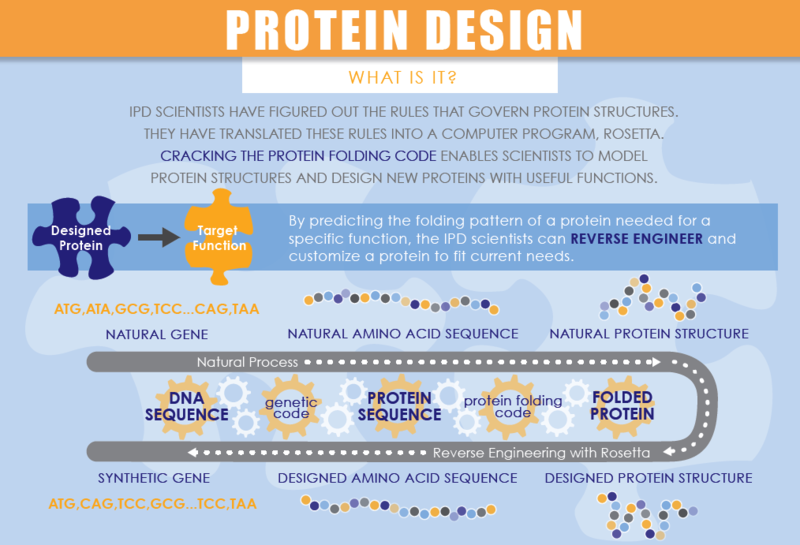 Re/Code writer James Temple has written an interesting article on David Baker’s efforts to design a new world of proteins. 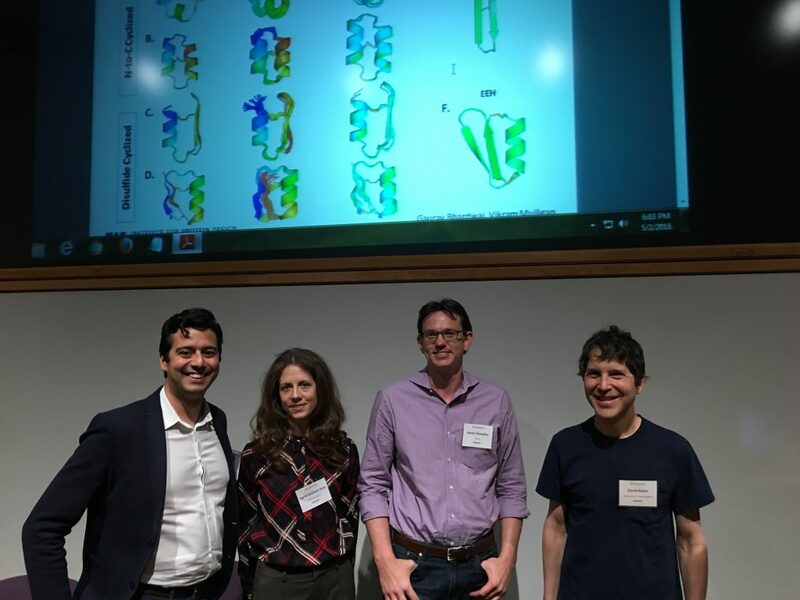 The article covers the IPD efforts to design proteins that neutralize the flu virus, Alzheimer’s disease amyloid protein, and how the IPD is engaging citizen scientists in the Rosetta@home and Foldit projects. Learn more at this link. Baker will serve as the director or the IPD which will coalesce and expand existing strengths within the UW and Seattle. The IPD will integrate UW expertise in biochemistry, engineering, computer science and medicine, and leverage local strength in the software industry to design a whole new world of synthetic proteins that address challenges in medicine, energy and technology. See full press release and additional information at this link.